Kalahari Books - Parables for the thearter: 2 plays. Home Kalahari Bookstore Plays Parables for the thearter: 2 plays. Plays Parables for the thearter: 2 plays. Parables for the thearter: 2 plays. Paperback reading copy, cover is a bit rubbed. The plays are 1. 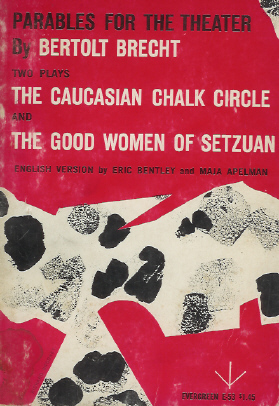 The Caucasian chalk circle. 2. The good women of Setzuan.